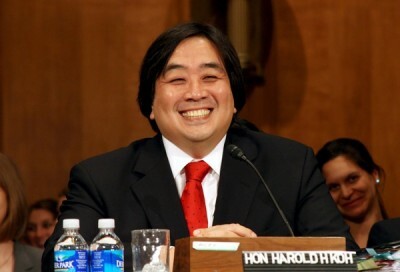 As the Statement of No Confidence in Harold Koh makes clear, U.S. drones have claimed thousands of lives across the globe. We reiterate the fundamental point that lies at the heart of our petition: the U.S. government’s extrajudicial killing program, for which Mr. Koh was a key legal architect and advocate, is immoral and violates the applicable international human rights and humanitarian laws governing the use of lethal force. In light of the profound human costs that the drone program has exacted, we find it regrettable that Professor Posner mischaracterizes our petition and dismisses the serious concerns raised therein. Nowhere in the petition do we argue that there are no circumstances under which drones can be lawfully deployed. Rather, we expressly state that our concern is with the U.S. drone program’s profound human costs and with its illegality under international human rights and humanitarian law. There is powerful objective evidence to which we cite in support of our critique, which Professor Posner entirely fails to address (See Posner Letter). We disagree with Professor Posner’s belief that “we need more Harold Koh’s in government, not fewer.” Rather, we believe that we need more principled people in government. We need people who will not advocate, as Mr. Koh has, the position that “[J]ustice for enemies ‘can be delivered through trials. Drones can also deliver.’” We need people in government who won’t make paternalistic and Orientalist generalizations about Middle Easterners by calling the U.S. diplomatic withdrawal from the Middle East in 2001 “akin to removing adult supervision from a playground populated by warring switchblade gangs.” Koh, On American Exceptionalism, 55 Stan. L. Rev. 1479, 1490-91 (2003). We need people in government who are principled enough to resign when the government it serves pursues an immoral and illegal path that jeopardizes innocent lives, rather than defend this pursuit. We need human rights lawyers in government who will refuse to sit behind a desk and make decisions based on questionable U.S. intelligence about who lives and who dies, and then compare such decisions to the law school admission process. It has not escaped our attention that Mr. Koh is regarded as one of the most respected and powerful international lawyers of our time. This does not deter us from our commitment to holding accountable members of our community who, like Mr. Koh, seem to have traded fealty to international law for a “ringside seat” at the table, at the cost of thousands of lives. The costs of remaining silent are simply too high. For these reasons, we urge students, faculty, staff, and community members to continue raising their voices to protest NYU Law’s hiring of Harold Koh as a professor of International Human Rights Law. Jon Laks; Amith Gupta; Amanda Bass; Lisa Sangoi; Amandeep Singh; and Dami Obaro. On April 3, 2015, the Coalition on Law and Representation (CoLR), an NYU Law student group whose mission is to push for faculty diversity within the law school, released a public letter which condemns the repression that NYU law students have been facing in connection with their support for the Statement of No Confidence in Harold Koh. Their statement is included below. Greetings and Happy holidays. We write to address the recent suppression of student voices by members of the faculty. About a month ago, several of our peers wrote a statement criticizing the decision to bring Harold Koh into our NYU Law family. In the finest tradition of student engagement, our peers asked if other students would voice support, and some did. Professors quickly responded. One response was submitted publicly to the student body, and disagreed with the statement’s arguments on the merits. This response added to the public debate on hiring Harold Koh, and was exactly the kind of response that contributes to a more informed dialogue. However, this was not the only response. Dissenting students received other emails. A number of faculty members sent private email messages to every student who signed the letter of concern regarding Mr. Koh, asking them to withdraw her or his support. Some students received more than one email. Students have received emails from their current professors. Students have received emails from professors who manage programs in which those students are currently participating. Students have received emails from professors currently serving as their advisors or job references. Students have received emails from professors who head the students’ scholarship programs. Students have received emails from professors at other universities. All of these emails shared a theme: signatories, withdraw your support, and, students, you must not speak out. No voice. No loyalty. Just exit. We are troubled by the faculty’s tactics because they worked. We spoke with students who withdrew or withheld their support not because they disagreed with the statement, but because they were concerned with reprisal. At least one prominent faculty member has repeatedly denounced the petition to his class, leveraging his authority as a leader and a professor to silence the issue in exactly the environment in which it should be freely discussed. In offering this statement, we take no position on Harold Koh or his employment at NYU. We take no stand on our national security policy. We offer this statement in support of student voices. Student voices must be fostered, bolstered, and heard. We are, after all, training to be advocates. We cannot stand by while the faculty of this institution and others silence dissenting student voices. We find these actions inappropriate, and we find their chilling effect worrisome. We also think the presence of robust, structured engagement of diverse student opinion regarding potential faculty members or guests prior to their appointment would help to direct student and faculty differences through less personal channels. Fellow students, we encourage you to remain engaged, to continue sharing your affirmative or dissenting opinions. We encourage you to continue speaking. This is what our profession calls us to do.